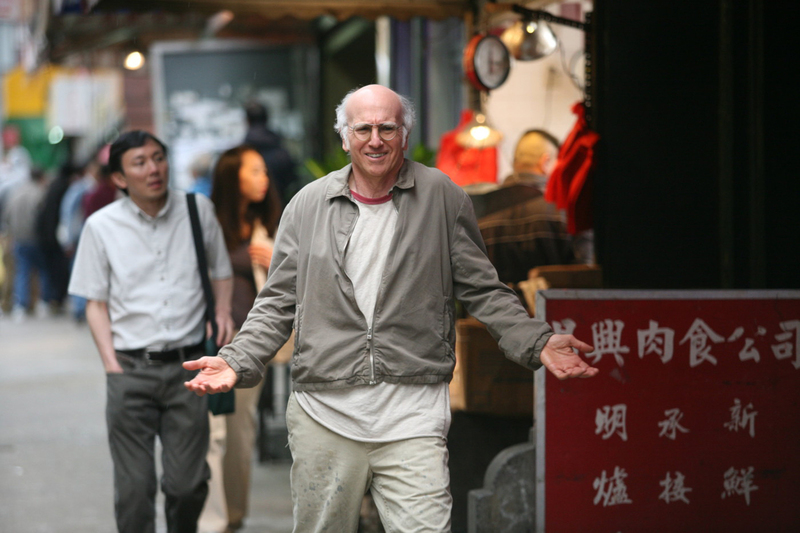 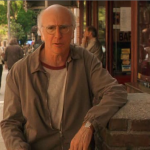 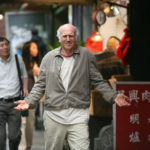 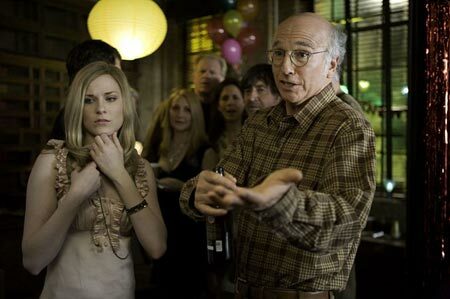 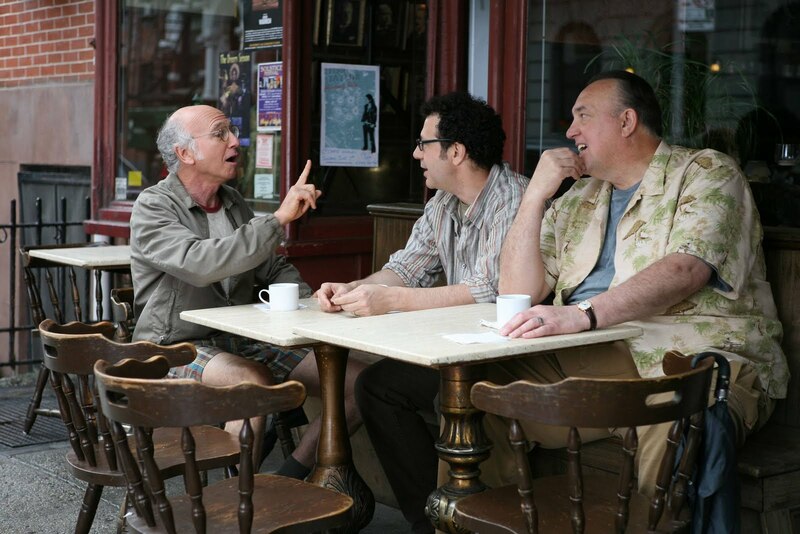 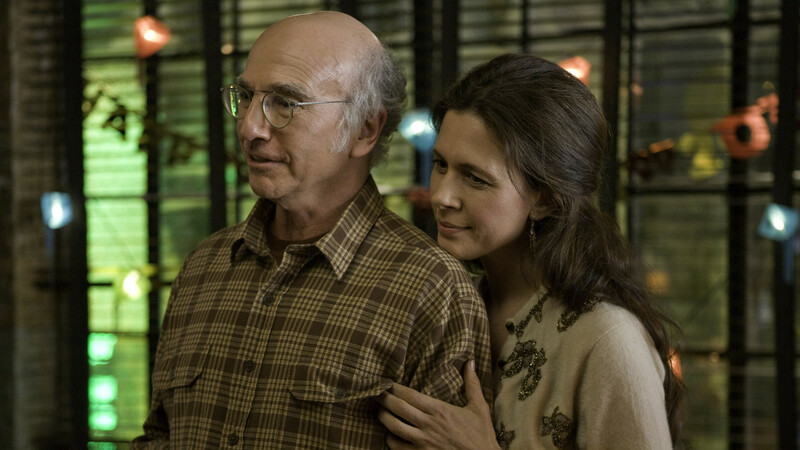 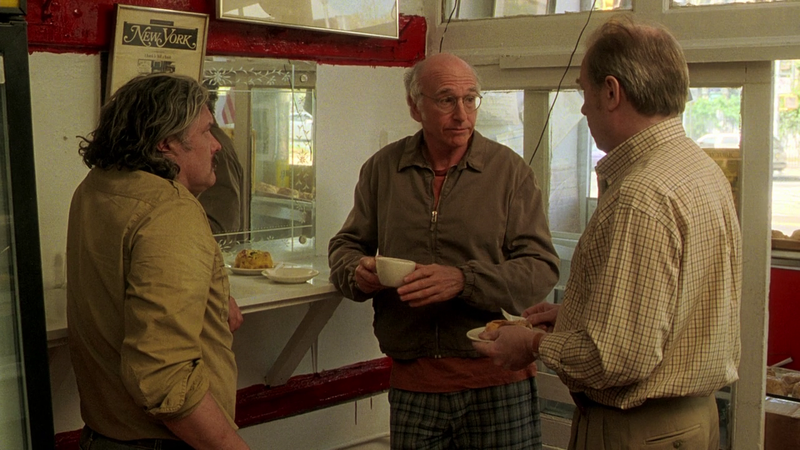 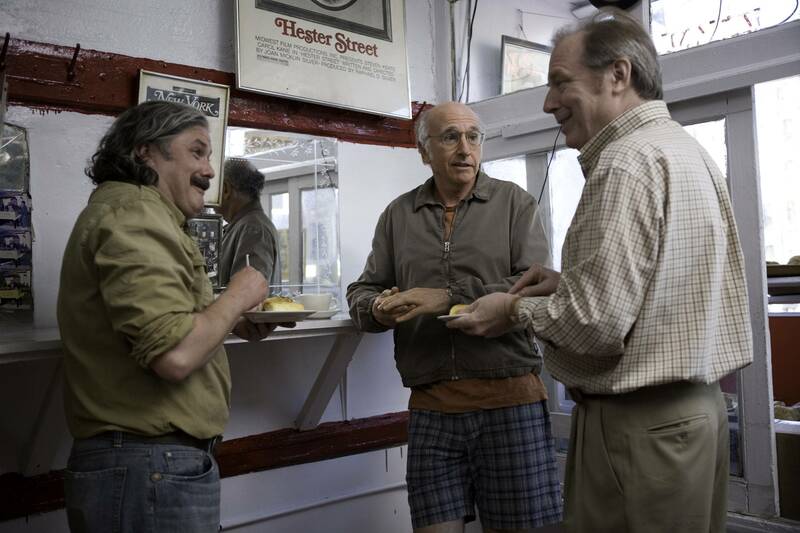 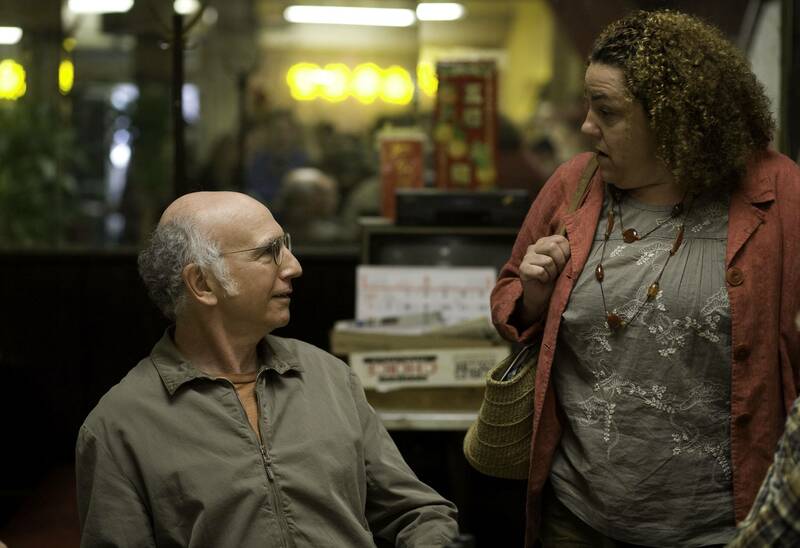 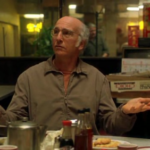 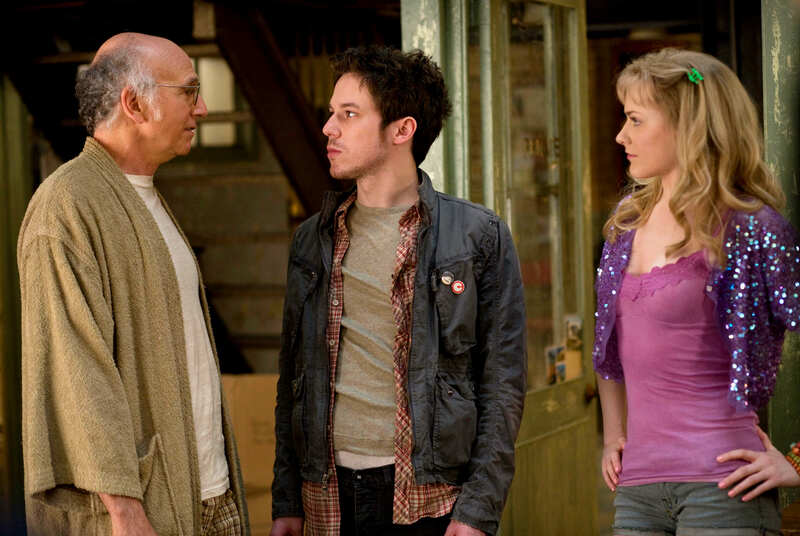 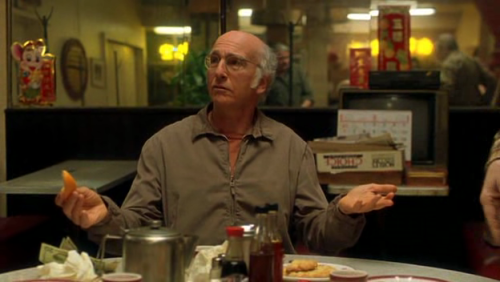 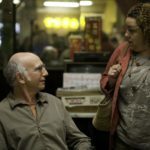 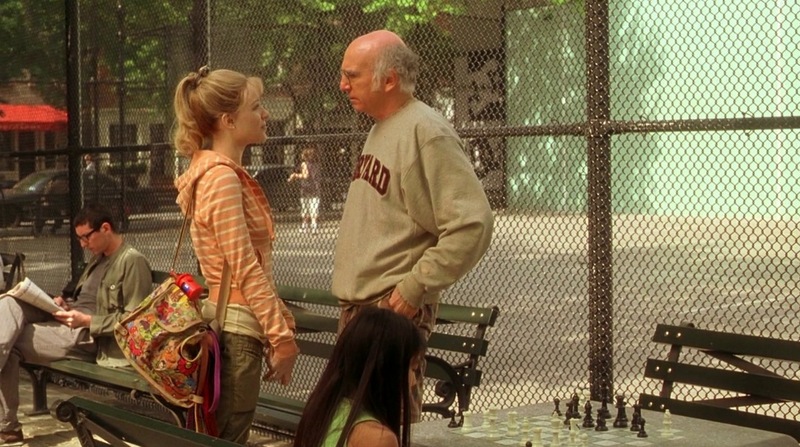 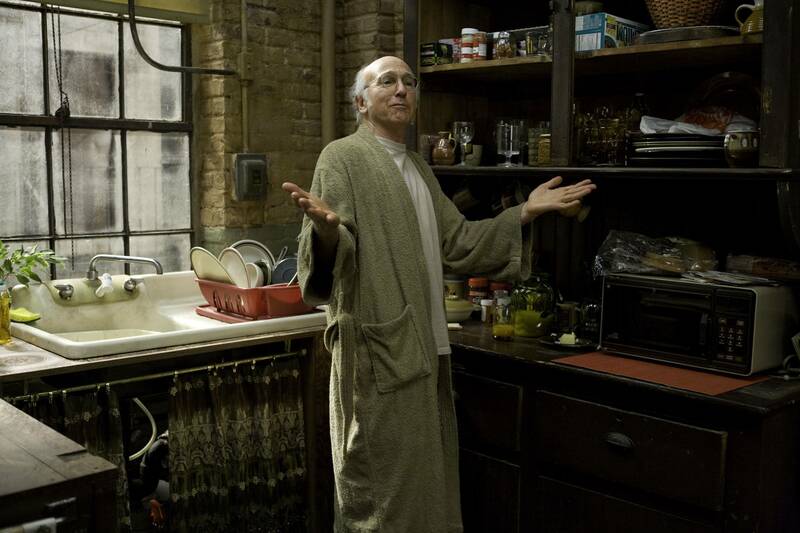 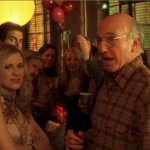 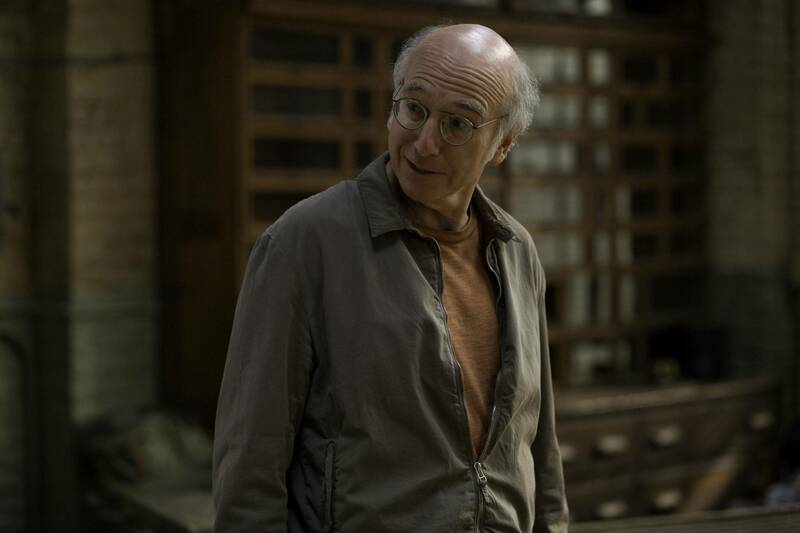 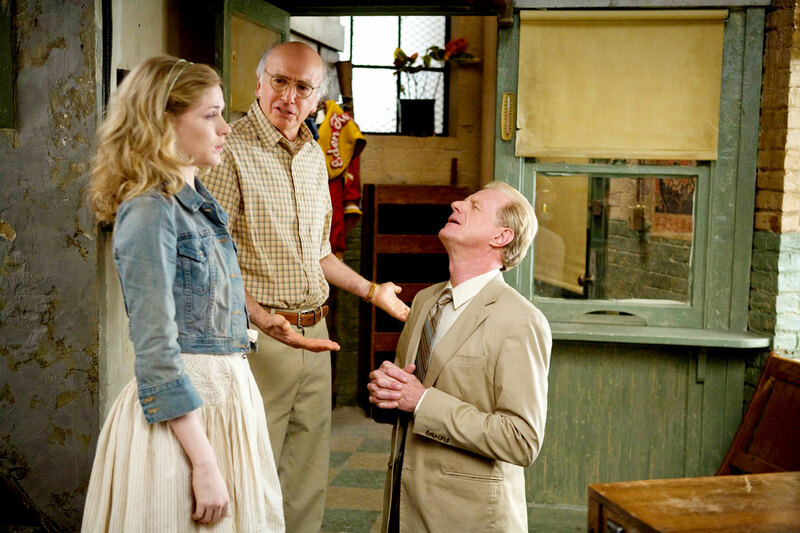 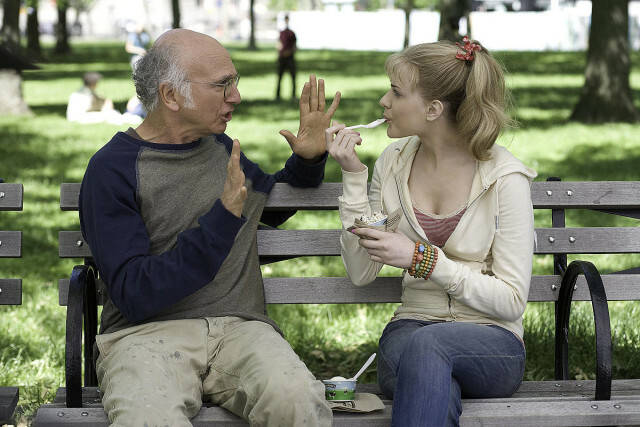 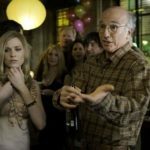 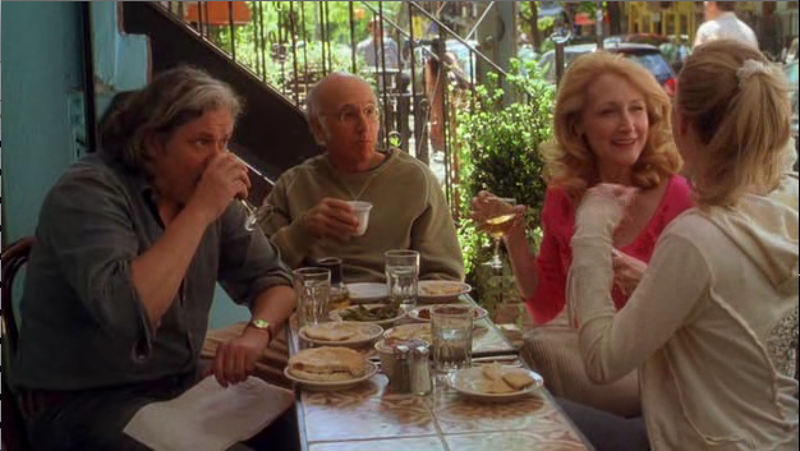 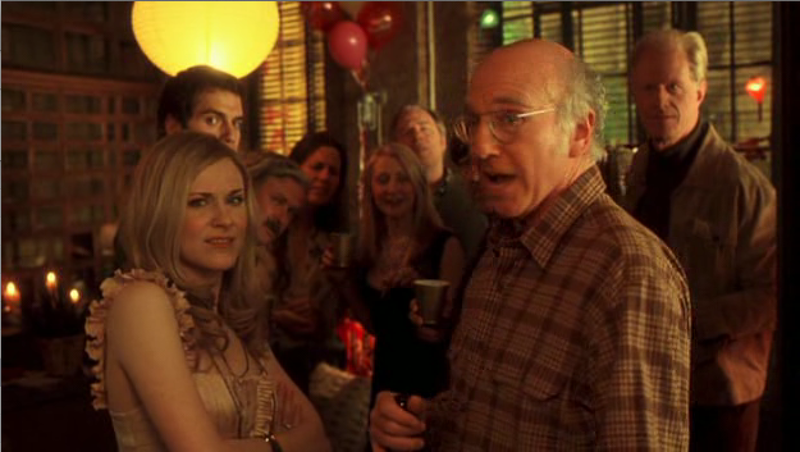 Larry David stars as Boris Yelnikoff, as big a curmudgeon as you are likely to meet in cinema. 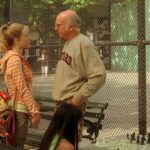 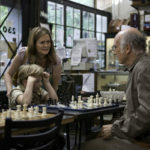 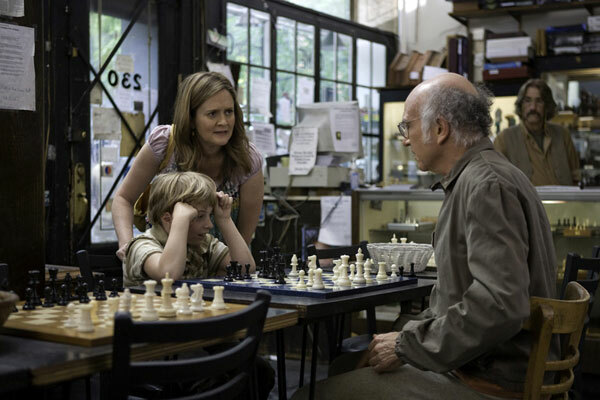 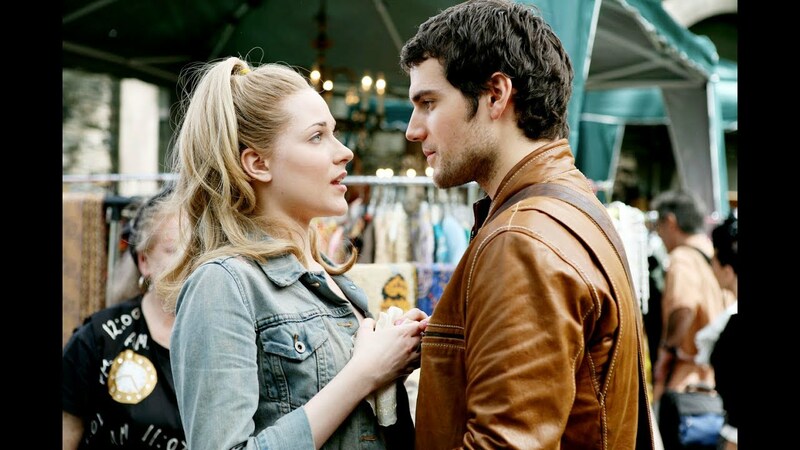 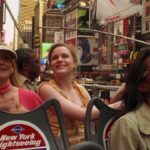 The grumpy old man has his views challenged when he meets Melodie (Evan Rachel Wood) and forms an unlikely relationship. 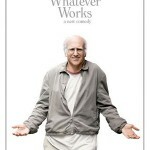 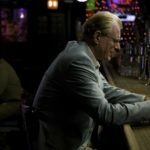 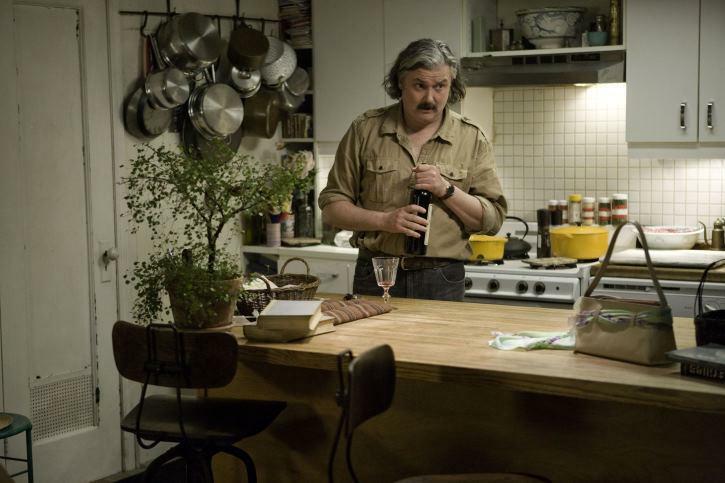 ‘Whatever Works‘ sees Allen return to the US for the first time in many years. 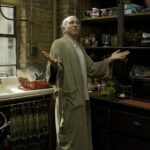 It was made amidst the writer’s 07/08 strike, when Allen was unable to make a new script, so he used one he had previously discarded, originally written for Zero Mostel. 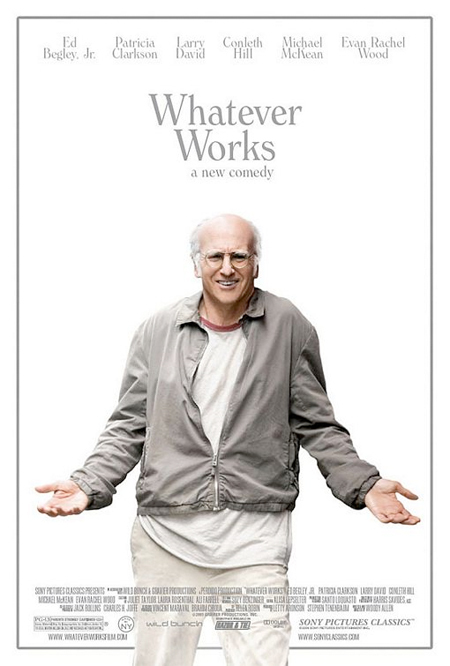 The script was written, as a play, in the early 70s as a vehicle for Zero Mostel. 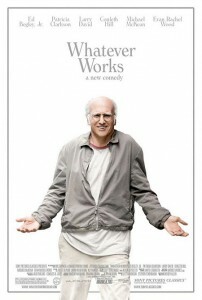 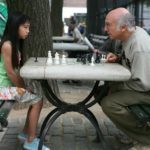 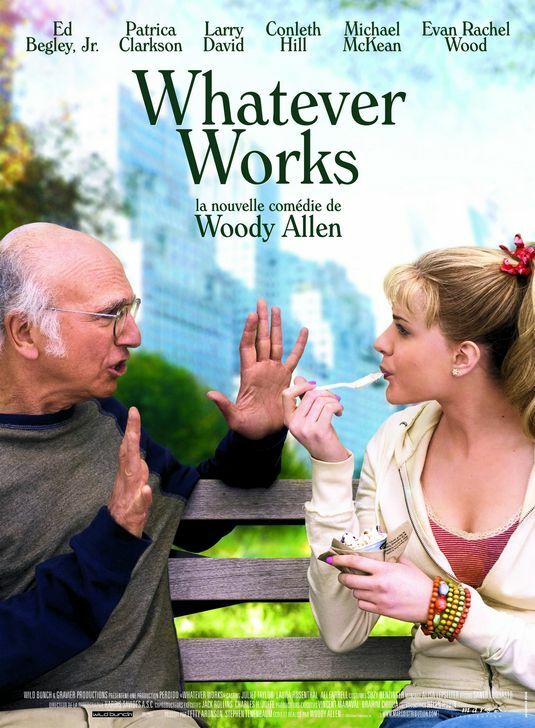 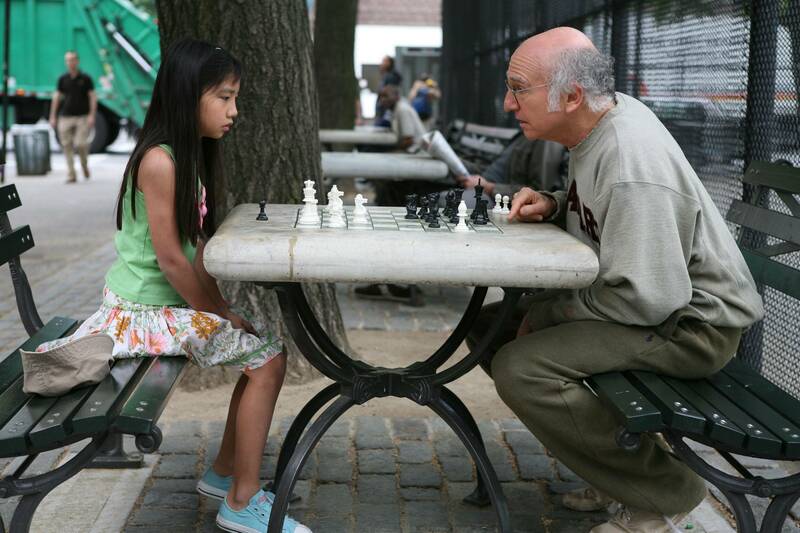 This is Larry David’s third time working with Woody Allen. 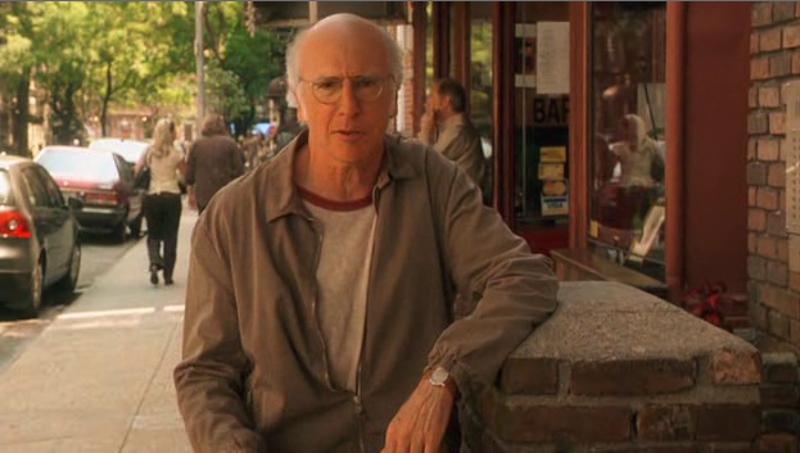 His first was in Radio Days, followed by New York Stories. 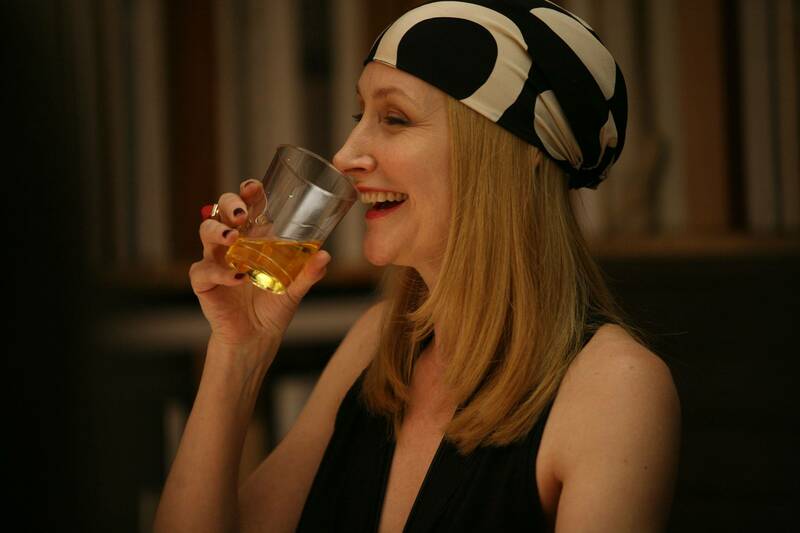 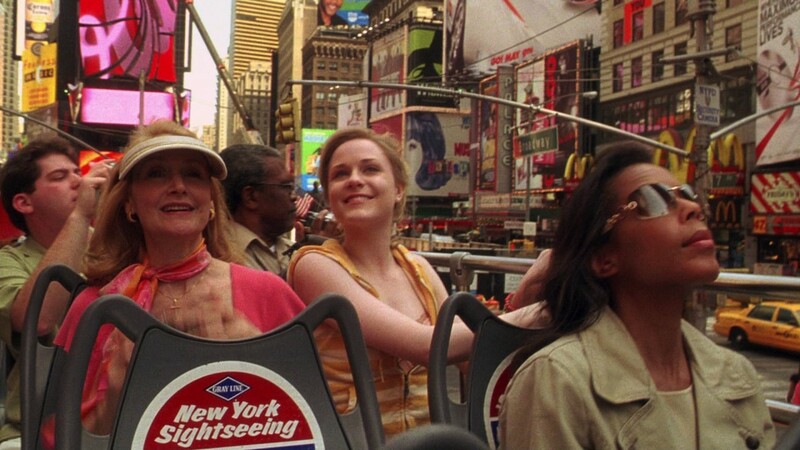 After making four films in Europe, Allen returned to New York City and his beloved Manhattan to make this film. 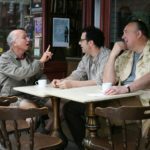 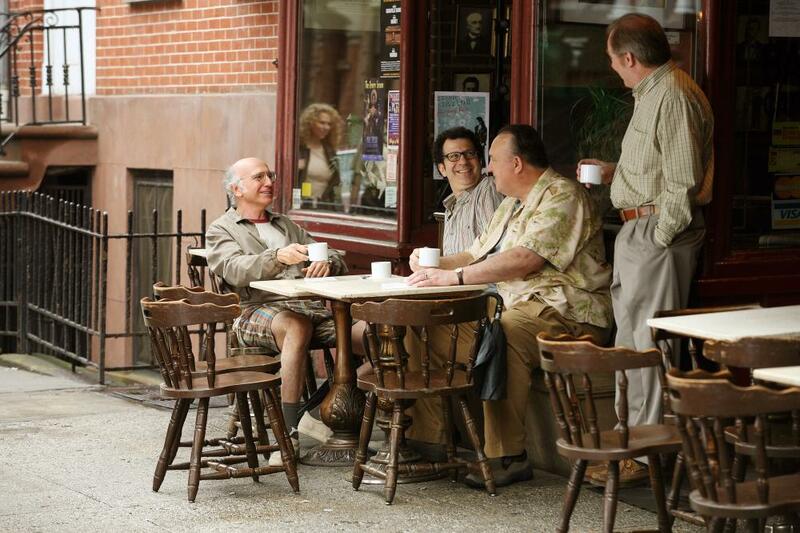 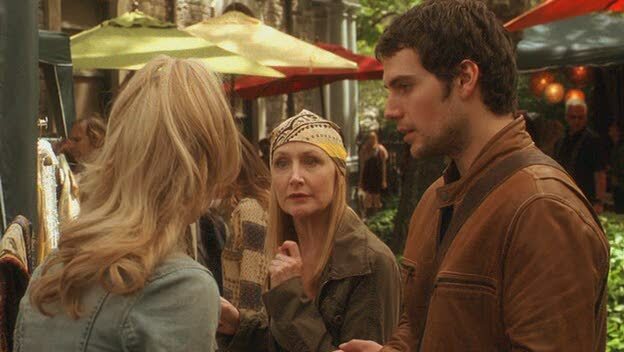 The opening scene, with Boris and friends chatting over coffee is at Cafe Vivaldi, 32 Jones Street and Bleecker Street. 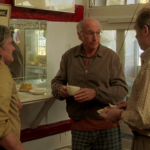 Boris takes Melodie to Yonah Schimmel’s Bakery, 137 E Houston Street and Forsyth Street. 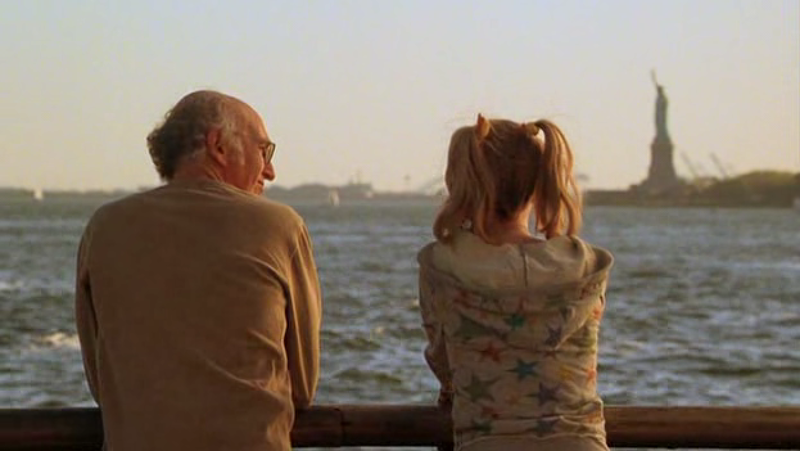 In one of the more uncharacteristically touristy shots (even for Allen), Boris and Melodie look at the Statue of Liberty from Battery Park. 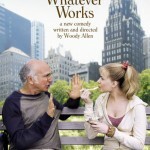 Larry David is perfectly cast as Boris in this angry but also hysterically funny play as movie. 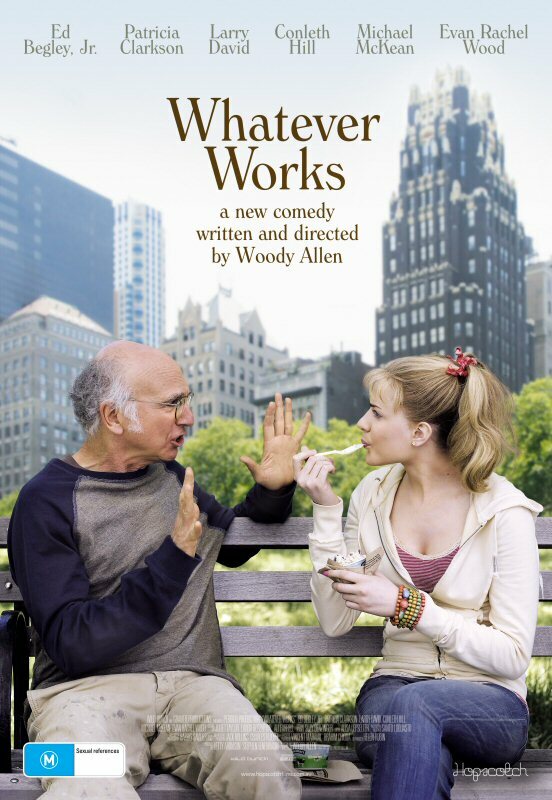 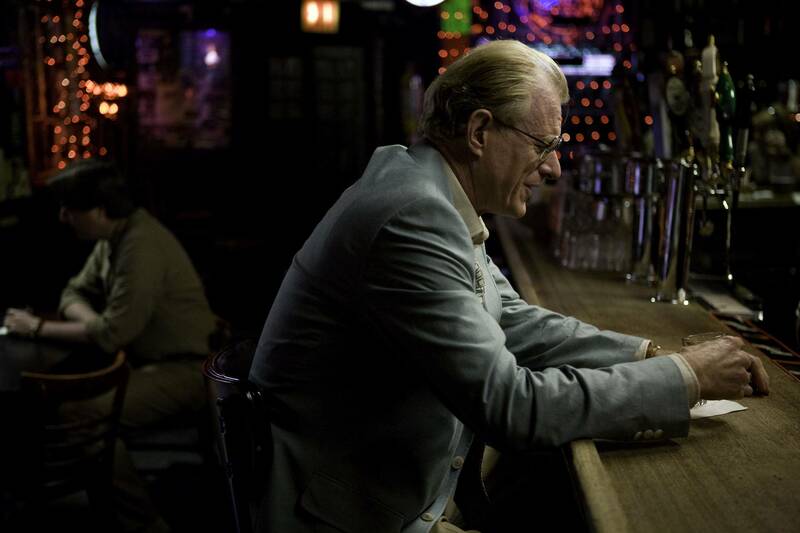 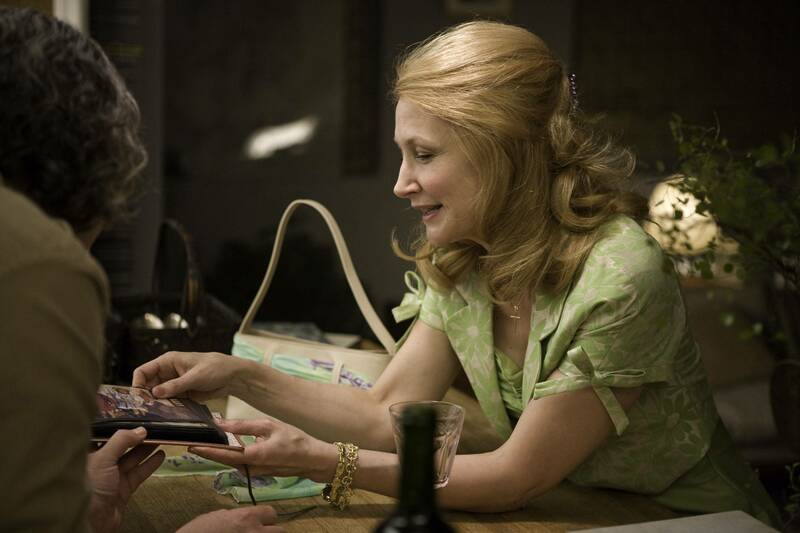 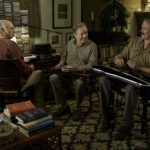 Woody Allen is not just a great comedian but he is also a brilliant writer, though not so much in this film. 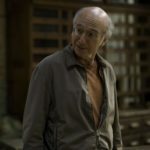 Yet somehow he makes a very bitter and cynical character like Boris funny. 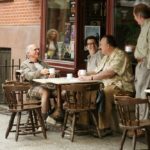 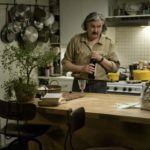 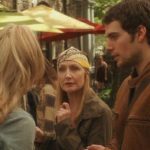 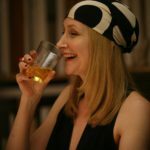 Though I enjoyed the movie, it is one of only a few films of Woody Allen’s where the characters, save Boris, are not fully developed. 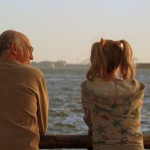 Most of them come across as types. 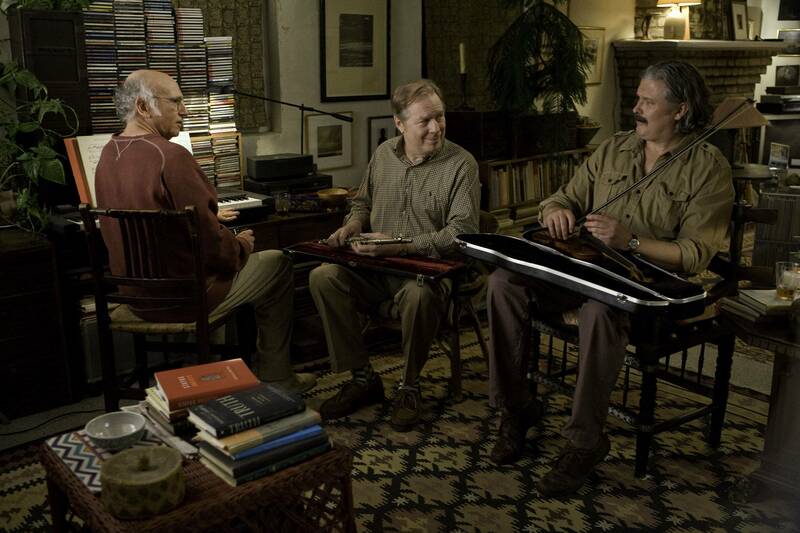 The film script gives the impression that Woody was using his first or second draft and never bothered to flesh out the other characters.